Is it about time to upgrade your Wayzata commute? Take a look at the new Porsche vehicles for sale in Minneapolis. From the best-selling Porsche Cayenne, to the popular Porsche Macan, to even the Porsche Panamera, Porsche Minneapolis has plenty of Porsche options in stock to accommodate drivers of all preferences and budgets. As a premier Porsche dealer in MN, we are pleased to offer a wide variety of Porsche specials. After you’ve taken a look at our online inventory and picked out your next German-manufactured Porsche model, contact us to set up a car financing consultation. Then, make your way from Orono to Porsche Minneapolis to get a better look! We look forward to seeing you drive off the lot in the model you love. 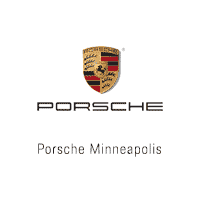 Why Choose a New Porsche from Porsche Minneapolis? If you’re searching for a Porsche dealer in MN, you owe it to yourself to visit Porsche Minneapolis. Ready to get behind the wheel of the dynamic Porsche model that best suits your budget and driving needs? Contact us today to get the process started at our premier Minnesota Porsche dealership.